Of course, before recently purchasing my '82 650, I was working on another non drivable project, my rear wheel drive, 2.3 four cylinder factory turbo 1988 Merkur(pronounced Mare Coor) XR4Ti, or as known everywhere else in the world the Ford Sierra. 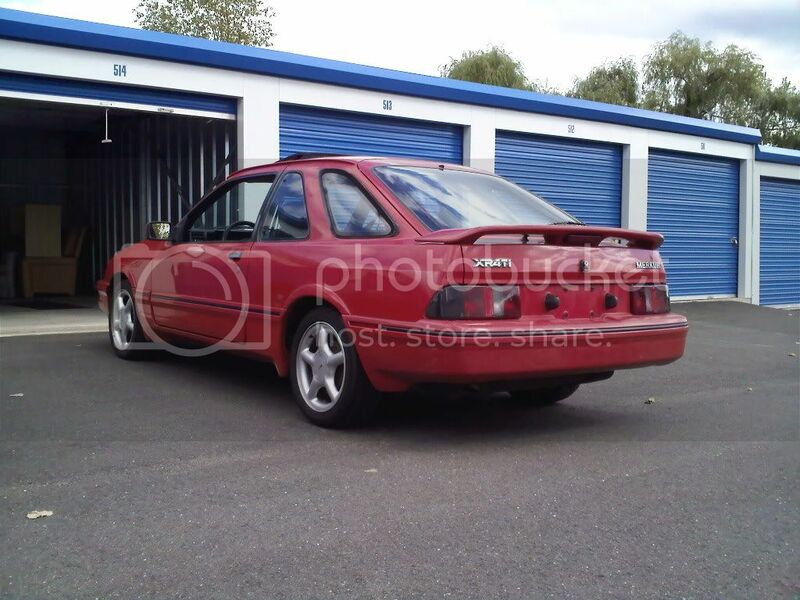 I bought her specifically for autocross since I was afraid of breaking my dd 1998 Ford Contour(Ford Mondeo everywhere else in the world, and technical successor to the Ford Sierra.) Obviously I have a thing for failed U.S. attempts. 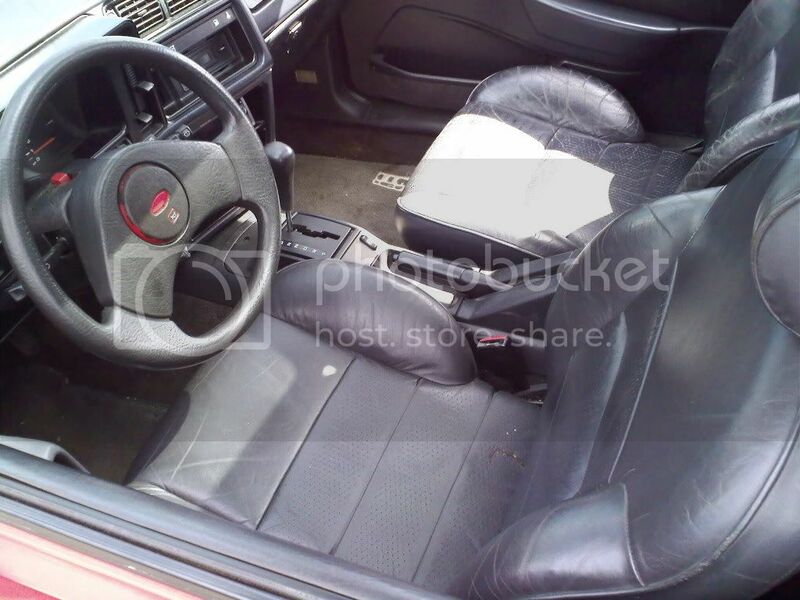 At this point, the car was purchased with it's original C3 automatic 3 speed transmission. I broke the pressed in atf filler neck off the trans so it was time for a mustang T5 5speed transmission swap. As it turns out, even an easy rwd transmission swap is difficult in a storage unit with no power or light so I had a friend help finish the swap. cars with no clearcoat are miserable. as she sits now 16x7.5 et35 Borbet rims, front Koni Yellow struts/350lb/in coilover springs, larger Merkur Scorpio front swaybar, front polyurethane bushings wherever possible, bone stock rear suspension which makes for interesting autocross. I've got a Cosworth Sierra rear swaybar, koni shocks, 650lb/in springs to install. Engine performance wise, she has a 3" custom exhaust, magnaflow cat, Thrush autozone special muffler and not much else. Future plans(as soon as the bike is done) include a shorty radiator, intercooler, cosworth turbine exhaust housing which is sitting on a bookshelf as a paper weight at the moment. When you need visual aids to pronounce a product correctly, you're doomed already; three days later most were still saying "Merker"
And we laughed our butts off trying to decipher the alien-like cuneiform squiggly lines used on all of the interior buttons and controls instead of normal descriptions and symbols! haha sadly I know exactly what sign you're talking about. they recently did a segment on Top Gear USA comparing failed cars with obviously silly tests. 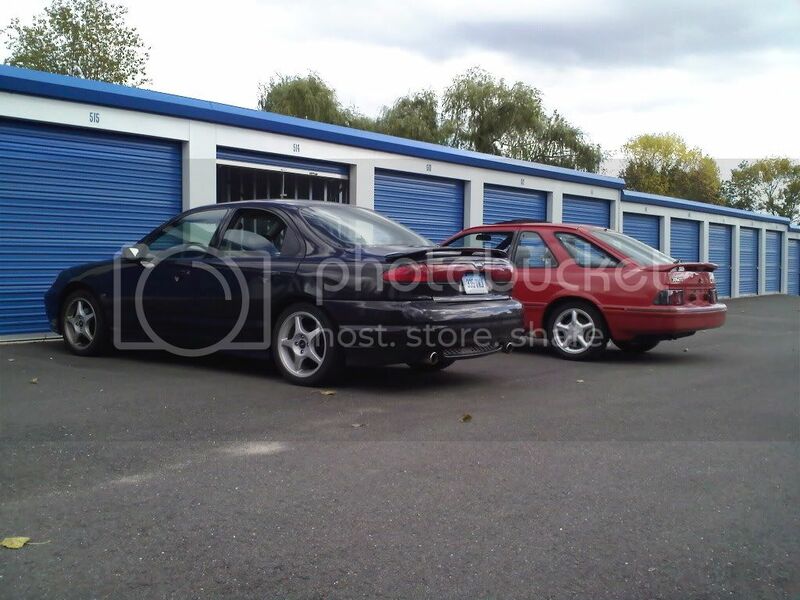 The XR4Ti, the Subaru SVX, and the Cadillac Allante. The XR4Ti coming out on top of course! I was recently in a Scorpio and it's actually a very plush and pleasant, if not hideous, car but the 2.9 cologne V6 most typically equipped with the automatic transmission is a bit of a dog. Hmm I like your other toys because they are looking very nice. Specially that car is looking great in red color, because its my favorite color in cars. Thanks for sharing the photos and please share more shots with some modifications.